We are proud to announce a new company started by our founder called Up Homes. Up Homes offers architect-designed manufactured homes that are light on the earth, and your wallet. Our homes reflect decades of experience with sustainable and cost-effective building materials and systems. It’s easy to think about sustainable business in big, broad terms. 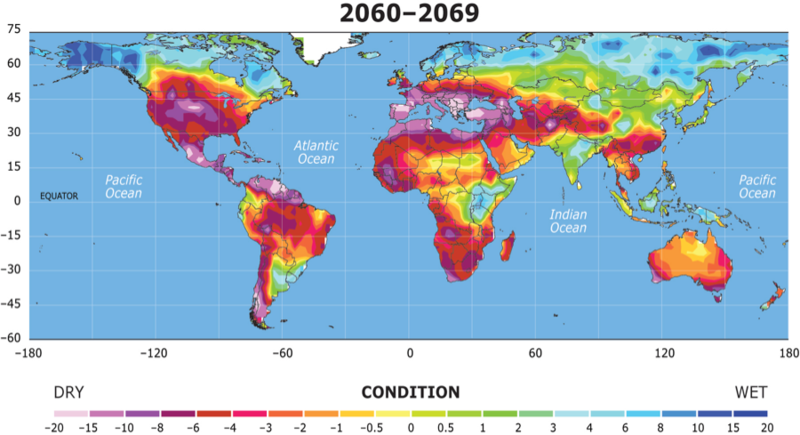 With such a huge need for new technologies and business models that lower our collective environmental footprint while creating new economic opportunities for the world’s citizens, it’s tempting to see this as a matter of building the Next Big Thing when there are often solutions much closer at hand. One such solution can be found in the City of Cleveland, where a consortium of local partners is helping to generate new jobs and wealth in six low-income neighborhoods through an effort known as the Evergreen Cooperatives. Consisting of three individual cooperative businesses (all green, employee-owned, and for-profit), and led by an umbrella corporation that provides structural guidance and manages a separate revolving loan fund, the Evergreen Cooperatives are a bottom-up approach to community empowerment and economic development. Although the businesses themselves are owned by the workers, thus retaining more wealth within the neighborhoods where they are located, the cooperatives also have the support of many large institutions including the nationally-known Cleveland Clinic, Case Western Reserve University, the City of Cleveland Department of Economic Development, and University Hospitals, a leading regional healthcare center. The intent behind establishing ECC is to create a new kind of “anchor institution” in Cleveland – an ongoing and sustainable vehicle that will partner with the City’s major anchors (such as hospitals and universities) to assist them in conducting their business activities in ways that will benefit Cleveland’s residents and neighborhoods. While it’s important to note that something like the Evergreen Cooperatives doesn’t get started without a lot of time and dedicated support from a multitude of local partners, their initial success points to the massive untapped sustainability potential in supply chain and procurement, particularly amongst large place-based institutions in every community. Nationally, hospitals alone carry over $750 billion in combined annual purchasing power. Surely that number is similar for colleges and universities. How can these big entities work with strategic community partners to direct their operational spending in a way that creates economic opportunities and positive environmental impacts? The Buy Local movement has really taken off in recent years, and resonates strongly with a lot of people. But so far its been mostly focused on individual decision-making. What would happen if more local and regional anchors followed the same lead as those in Cleveland? The supply chain tends to exist out of sight and out of mind from most people who don’t deal with it directly. For those who care about promoting green business and social entrepreneurship on a large scale, however, it’s a golden opportunity. None of this will happen overnight. But that shouldn’t stop every economic development agency, community development corporation, office of public engagement, and local government from pursuing it right now. A few weeks ago I was in New York City for the weekend and had an opportunity to meet up with an old friend at a place with real implications for how we think about economic development and community renewal. 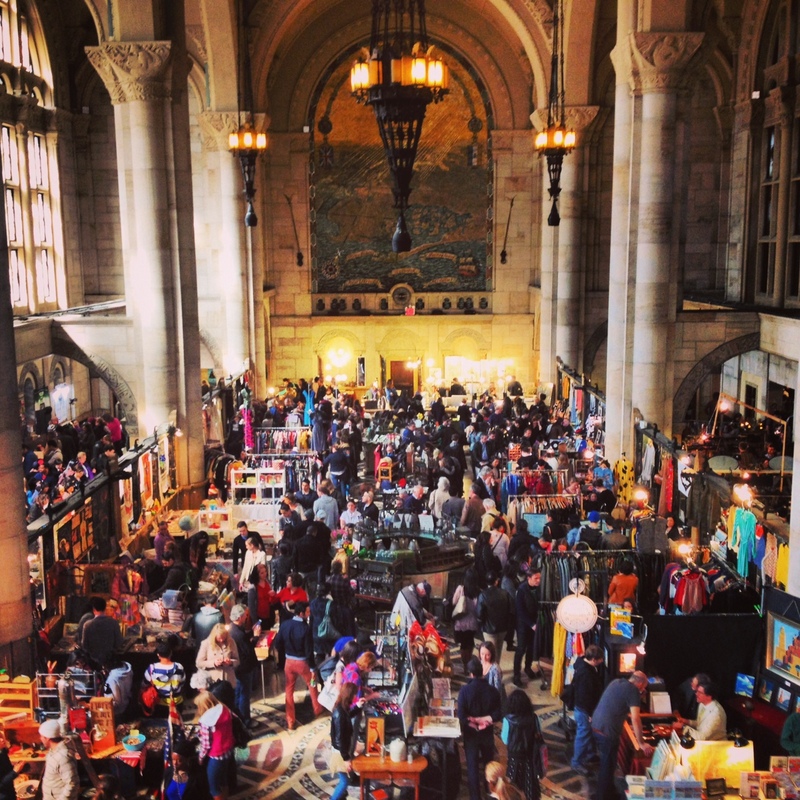 The Brooklyn Flea Market has been around since 2008, and now serves large crowds every weekend in three rotating locations. In growing to its current size the market has come to feature a diverse set of artisans, craftspeople, and other small-scale entrepreneurs selling everything from vinyl records to furniture and vintage clothing. There are a fair amount of food purveyors, as well; the food portion of the market actually became so popular that Brooklyn Flea also operates a separate, food-only market that takes place at two locations along the Williamsburg waterfront. 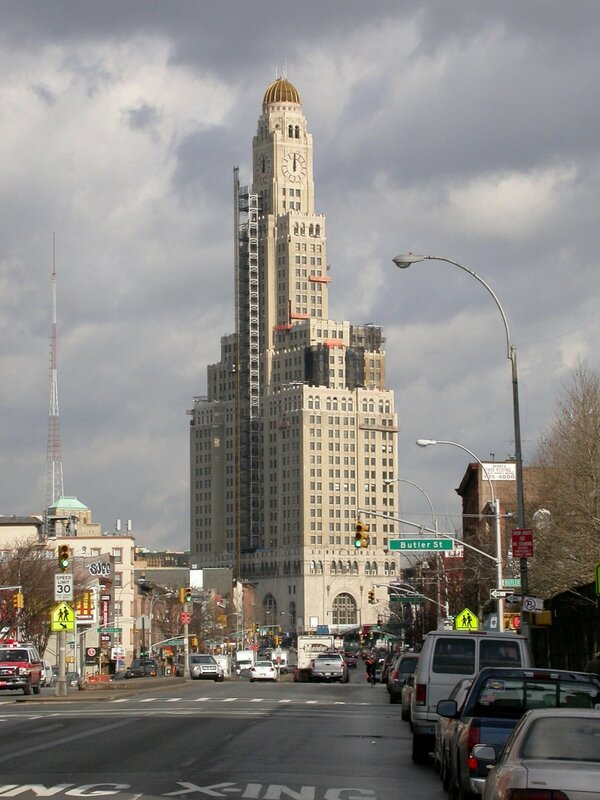 The image above is taken from the inside of the historic Williamsburg Savings Bank Tower, one of New York City’s few iconic skyscrapers outside of Manhattan. From November through March, the market moves indoors to inhabit the ground floor of the historic former banking center, the upper floors of which once housed dozens of area dental offices and were converted in 2006 into luxury condo space. Now, in addition to the re-purposing of its upper floors, the lobby and basement levels of this landmark building have become a local attraction, providing space for entrepreneurs and small businesspeople to sell their wares, along with a cavernous environment for weekenders to explore. Former teller booths now house pop-up shops with trendy clothing, shoes, and handmade goods. The basement is a series of narrow hallways that feels more like a maze than a place where people are buying and selling food and assorted secondhand items. It probably wasn’t used for much other than storage during the building’s former life, but it’s now a lively hub of neighborhood commerce. Turning a historic old space into a community attraction and a place where entrepreneurs can find willing customers? Better yet, a place where real people can interact and sell real things to each other? Places like the Brooklyn Flea Market are the highest ideal of free market capitalism; a place where the proverbial butcher and baker meet and succeed on their own merits. There’s a lesson to be learned here, and it’s one that can be applied to communities with a fraction of New York City’s population or historic assets. To that last point especially, it would be easy to write the Brooklyn Flea Market off as a big city story; a place that can only be sustained by large markets with wealthy residents and lots of purchasing power. But this is both dishonest and misleading. At the end of the day it’s really about scale – in New York City, it might be the bottom floors of an ornately decorated skyscraper, but in smaller communities it could be an underutilized civic center, side street, or vacant lot. There are certainly plenty of the latter scattered across America’s urban and rural landscape, and there’s no reason that the heyday for these places should be thought of as any time but now. Every community has its own unique assets, and if the existence and success of something like the Brooklyn Flea Market represents anything, it’s the fact that if people are willing think creatively and act boldly, there is always the chance to take something and make it better. What this is really about is finding innovative ways to build community wealth and opportunity for those who are willing to seek it. Not everyone will be an artisan, nor should they be. But not everyone should have to work in an office park or retail outlet, either. It’s about creating a healthy mix of jobs, which comes from ensuring a healthy mix of opportunities. Whether attracting a large outside enterprise or thinking of new strategies to build up the local business landscape, economic developers and community leaders must be creative about how they facilitate opportunities for people in their communities to accumulate wealth. Humans have used trade and exchange to better themselves and their societies since the dawn of civilization. What can today’s communities do to help make sure more of this sort of activity takes place under their jurisdiction? Money is often referred to as a necessary evil, but there is something beautiful about the process of buying and selling, particularly when it involves things that people genuinely enjoy making, and places where folks genuinely enjoy spending some time on a Saturday. Economic Development has historically been thought of in very narrow terms – how to create a lot of jobs, quickly, and sometimes to the exclusion of other important community priorities, or any real thought about whether those jobs are good jobs, rewarding and gratifying jobs, or just 40+ hours per week of numbers on somebody else’s balance sheet. Maybe it’s about something a bit more fundamental: buying and selling, human exchange, and how to build communities that provide the opportunity to buy, sell, and exchange nice things. Maybe it’s about promoting local interactions as a way for us all to live more sustainably. Emphasize these priorities and maybe the jobs will follow. There’s no magic bullet, and in the end communities must employ many development strategies successfully in order to succeed. But maybe just maybe there’s something that can be gained from an emphasis on what makes a place like the Brooklyn Flea Market successful. At a time when many communities are crying out for new sources of prosperity and renewal, maybe this is one place to turn for guidance. If nothing else, it’s a great place to spend a weekend afternoon. Like millions of my fellow Americans, I participated in the National Day of Service this year, which is held annually in conjunction with the Martin Luther King Day holiday weekend and which President Obama has tried, through each of his inaugural celebrations, to establish as a quadrennial presidential tradition as well. Across the country on Saturday, January 19, groups of citizens large and small volunteered with a range of organizations, each different in its particular mission but contributing in its own way to the Greater Good. After finding that a smaller event we had tried to sign up for was filled to capacity, my girlfriend and I ended up at the DC Armory, where thousands of volunteers helped to pack care kits for US military troops. It was a huge event, sponsored most prominently by Target, and it even included a visit from Vice President Biden and his family. There were DJs, musical acts by school bands and other groups who had traveled from locations across the country to be there, and a stage to accommodate all of this entertainment for the morning’s eager volunteers. So many people showed up, in fact, that there was a 30 minute wait to even get inside the building, followed by some additional waiting indoors as all of the volunteers were funneled through metal detectors and given wristbands. Once inside, volunteers stood in rows organized by letters and numbers, waiting another 15-20 to be ushered to the front of the crowd, where each volunteer picked up a plastic pouch and held it open while event coordinators stationed behind a series of carefully marked boxes smiled and deposited various personal care items – soap, toothpaste, etc. – inside. It was, in many ways, assembly line volunteerism. As one of the country’s largest retailers introduced its factory-style efficiency to the community service experience, volunteers waited in line to do their part, and if they felt as if they had more time when they were finished, waited in line and did it again. When we left after about 2 1/2 hours, my girlfriend and I had been through the line twice and helped pack about 8 kits each. In total, 100,000 kits were packed on the day. How many people does it honestly take to assemble 100,000 military kits? Was there something more useful that the thousands waiting in line at the Armory to hold a pouch open could have done instead to better their communities? Is waiting in line really volunteering? Am I just being curmudgeonly? The answers to these questions will, of course, depend on who’s answering them, but here’s an honest reading of the situation that I think gives credit where it’s due: Target and other major sponsors put on an event that was intended to be big, it was successful in its mission, the event organizers did a great job running everything as smoothly as possible, and US troops got 100,000 care kits that they didn’t have previously. A-plus all around. Still, this leads us to a more complicated and fundamental question – was such a large, industrial-scale event the best way to get people out and volunteering on a brisk Saturday? What else could all of those people packed into the DC Armory have done if they were dispersed instead of consolidated? We live in a big country, and much of the national discourse revolves around our big institutions. Big business dominates the economy, big banks hold most of our assets, big government is seen as hero or villain depending on who you talk to, all while big foundations increasingly present themselves as the saviors of those who fall through the cracks. We live in big cities. Most of us shop at big stores. And when it comes to the political and economic decisions that affect the country and the communities within it, most subscribe to the logic of big. A big federal program here, a big business recruitment success there, big new generating capacity and transmission infrastructure to account for our future energy needs, big companies that can operate at large economies of scale and offer big savings to the consumer. A big service event on a cold day in January to help keep us all humble. But what if this wasn’t the way forward? What if the blatant inefficiency of all those people spending 80 percent of their volunteer time waiting in line was actually the ugly truth lurking behind most of the big assumptions we passively accept? What if this was more or less a proxy for what we get when we trust that big, corporate-scale solutions are what’s needed to solve problems best dealt with in a smaller capacity? A job-starved community spends countless time and resources to recruit a big outside company that promises to create hundreds of new jobs, offering a lucrative package of tax incentives to help seal the deal, while vesting all of its economic hopes with one business in one industry that will reinvest its profits elsewhere. An environmental activist chooses to invest their time dreaming up big, utility scale energy projects in faraway parts of the country, seeking transformative solutions and seeing few alternatives. The average consumer takes their business to a big box retailer, convinced that no one else can offer the same level of convenience and savings. Are these the actions that will re-invigorate our communities and help us rebuild for the 21st century? Big will always play an important role. Some big businesses will remain large employers. Some tasks are best done by large-scale entities. Regardless of whose politics win the day, the federal government will remain big, because in a country of over 300 million, there really are few other alternatives. 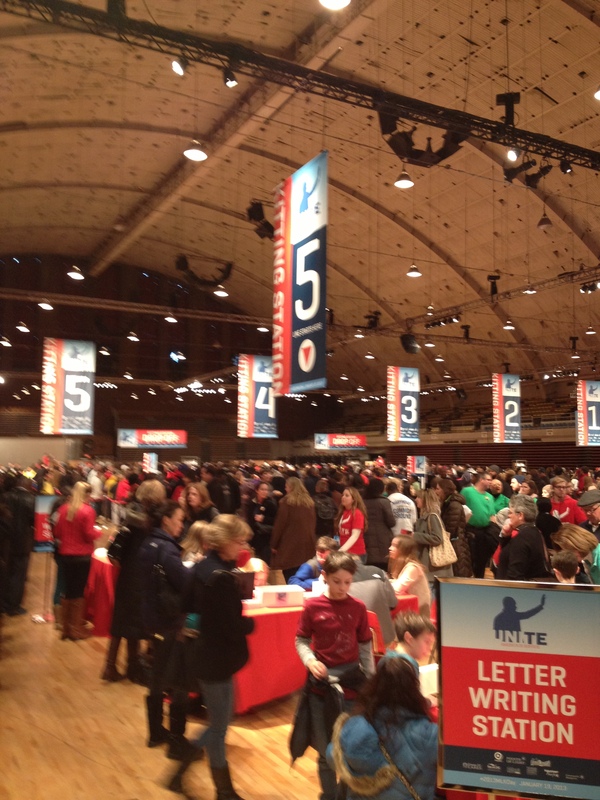 And on Saturday, January 19, 2013, many of the thousands who showed up at the DC Armory needed somewhere to go if they wanted to help out; several of DC’s great service organizations had such a supply of volunteers that they simply had to say no to anyone else who asked. But what if we could imagine the results of thinking smaller – and saw these not as feeble attempts to chip away at a problem that is beyond our solving, but as small pieces to a larger, more meaningful solution? Thousands of rooftop solar installments. Local support not for big businesses trying to locate but for small ones trying to compete locally – the source of a much larger economic multiplier when they are successful. Policies to help leverage the economic impact of home-based businesses and self-employed professionals. Education initiatives tailored to the needs of kids in specific schools rather than those determined by public bureaucrats and big private benefactors. What if millions of these actions, undertaken by communities across the country, could collectively have a greater impact on our country than waiting for our big institutions to act? What if acting locally were the only way to bring about positive change within many of the places most desperate for it? As a country, we’ve been through the boom and bust cycle of big. It sounds like it was a great ride while it lasted. Either way, its aftermath has a name befitting of the scale at which our nation has chosen to operate: The Great Recession. And as our big companies downsized and our big government saw its tax receipts drop while its obligations and deficits rose, it may have become even harder, for a brief moment, to see a way out of this mess that wasn’t as big as the way in. But with big crises come new thinking, and with big longstanding challenges come the necessities of drawing up new solutions. Mix in the internet, the most decentralizing force the world has ever known, along with an emerging recognition that many local problems will never be solved without local solutions, and there is a recipe for an entirely new model of development and prosperity that puts our existing political and economic institutions to far better use. What if on a chilly Saturday morning, I could spend 2.5 hours truly maximizing my impact, rather than just waiting around hearing thank-yous that I may or may not have earned? I contributed something on this year’s National Day of Service, but I think that everyone who was there in the Armory knows that we all could have done more. When it comes to the decisions we make about our communities, we should be just as discerning. Today I imagine all of the exhausted parents out there nodding their heads, one of them maybe mouthing a sarcastic “amen” if they could have heard my dad at that moment. I seemingly did my parents a lot of good that day by finding a way to calmly and quietly go about my kid business. Sometimes, the most important thing is what’s unsaid. But what does kid business have to teach us about green business?